The only five African novels so far that have won the Commonwealth Writers' Prize for Best Book Overall and Best First Book Overall. I have only read two of these three novels. Surely, I can tell what they have in common apart from the Commonwealth Writer's Prize. Firstly, they are eruditely written work of fiction and secondly, they deal with war in the African continent. 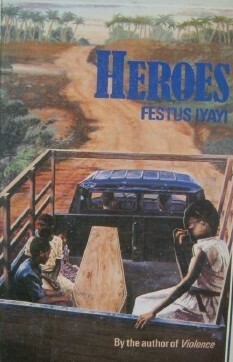 Heroes expounds on the Nigerian civil war, while The Memory of Love, on the Sierra Leonean civil war. 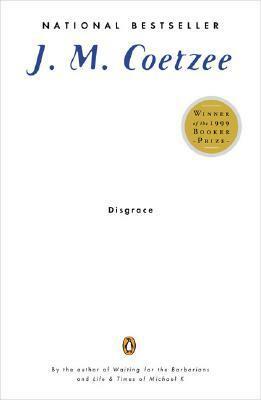 I am yet to read Disgrace, I believe the setting was in post-apartheid South Africa. Hopefully, we would not have to wait for eleven or twelve whole years before another African novel wins the Best Book Overall. Have you read any of these three novels? 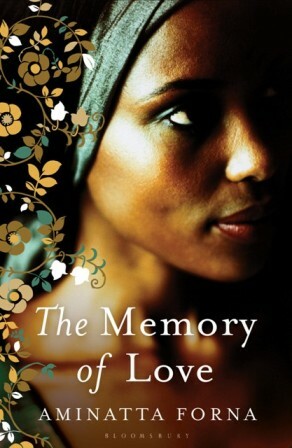 What do you think about the African Winners of the Commonwealth Writers' Prize for Best Book Overall? Since 1989 that the winners for Best First Book has been announced, only these two African novels have won the Prize for Best First Book Overall. 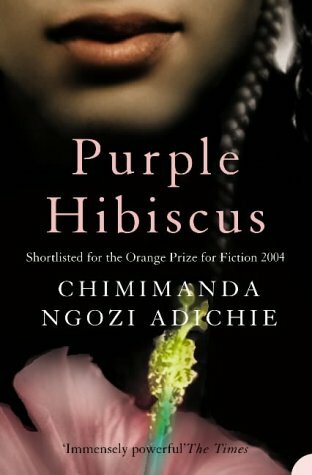 I am yet to read Ama, I guess it does not have any thing in common with Purple Hibiscus besides the Commonwealth Writers' Prize. Finally, Nigeria is the only African country whose writers have won the Commonwealth Writers' Prize for Best Book Overall and Best First Book Overall with Festus Iyayi and Chimamanda Ngozi Adichie. For the 2013 Commonwealth Writers' Prize; good luck to our African writers shorlisted. Sarah House by Ifeanyi Ajaegbo (Nigeria), The Spider King’s Daughter by Chibundu Onuzo (Nigeria), The Great Agony & Pure Laughter of the Gods by Jamala Safari (South Africa) and Sterile Sky by E.E. Sule (Nigeria). 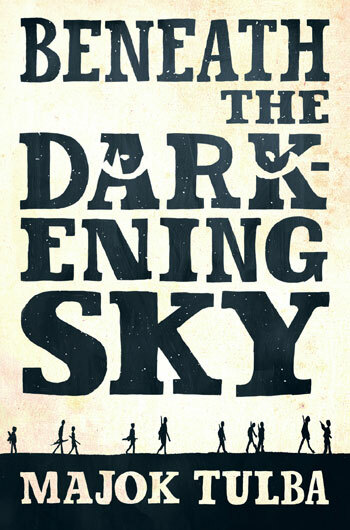 by Majok Tulba gave an Igbo name "Obinna" to the main character in his novel. I know writers are free to give whatever name they wish to the characters in their novel. Still, I find it odd he gave an Igbo name to the main character in his novel set in Sudan. I just think a Sudanese name would have fitted, since it is a story of what might have happened to him in his country of origin. What is more, he (Tulba) does not look like any "Obinna" I know or could think of. Moreover, I find it difficult to picture two brothers with the name Obinna and Akot living in a village in Sudan. Anyway, it would be no deterrent to read his novel. I have already added it to my TBR. Actually, he is the only Australian Commonwealth shortlisted I am rooting for. So said, good luck to him too. I don't get this one. Are they celebrating some anniversary to warrant the bringing together of books from different years? 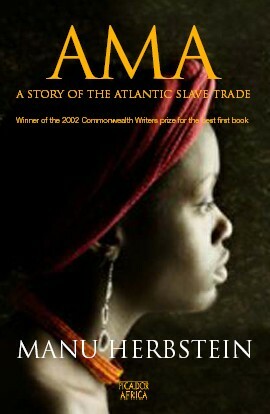 Ama by Manu Herbstein has nothing in common to Purple Hibiscus; I've not read the former but I've listened to the author read from portions of his book and I have it on my shelf. LOL, it is just me celebrating it on a personal level. You know.. we are in that time of the year again. I also have Ama on my shelf and I am yet to read it. Why haven't you read it yet? It's the publisher's fault. They crowd the page and this make the book seem intimidating or difficult to read. Curious right? Why would he do that? Please share your opinion here with us when you read it. I have added it to my TBR. I have not read anty thing from Coetzee yet. thanks for stopping by. I did not enjoy Purple Hibiscus that much. it's just me. Yeah, I am looking forward to reading Americanah too. I'm currently reading Americanah, and I'm loving it. It's a good book. Are you serious? Can't wait to read your review. Yeah, weird indeed. I wonder what "our" Obinna is doing in Sudan. Not sure about the name Obinna, but my wife's family are Kenyan Luos who are largely related to the various groups of South Sudan (Nilotic peoples). My father-in-law also claims that the Igbo people are somehow also related, but I don't really see it beyond a preponderance of names beginning with 'O'. Hello Aaron, people who arent Igbos or descendants of Igbos do not naturally give Obinna as a name to their offsprings. Just as the same way they would not give them Nnamdi, Chikelu, Nneka, and a whole lot of other Igbo names.